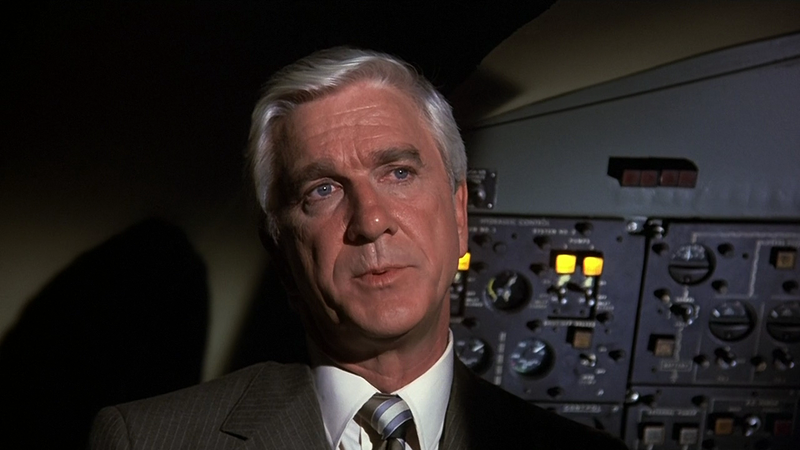 We lost another good one today when Leslie Nielsen passed at the age of 84. Nielsen was sort of a B level serious actor for 30 years before he got his “big break” when he was cast as the doctor in Airplane. What’s really curious about that role is none of his lines are really funny on their own. In many cases they’re verbatim from Zero Hour, the cheesy airliner in trouble movie that Airplane is based on. In fact Zero Hour was exactly the type of movie Nielsen would have been cast in previously. But something about his deadpan delivery and deep voice made him stand out even in a movie that was wall to wall packed with hilarity. That lead to one of the funniest shows in TV history, Police Squad where Leslie created the character of Frank Drebin, later spun off into the Naked Gun movies. Leslie Nielsen was a Canadian, the son of a Mountie in fact, and by all accounts was a genuinely nice guy. It’s always sad when someone passes away of course, but I think the blow is softened a bit when it’s someone who achieved great success later in life after toiling for years in obscurity. If there’s a heaven above it’s a funnier place tonight.